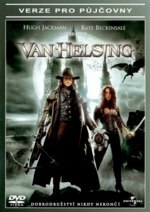 "Van Helsing" starts off in 1887 Transylvania where Doctor Frankenstein creates his monster with the aid of Count Dracula, who reveals that he plans to use the monster for his own plans. Just as he plans to kill the Doctor, his castle is raided by villagers, who storm the castle, and set ablaze a windmill the monster escaped to. One year later, Van Helsing kills the elusive Mr. Hyde in Paris, and returns to the Vatican in Rome, and receives his mission to destroy Dracula once and for all, as penance for past sins, and to help the last of a family line end Dracula so they may enter Heaven.